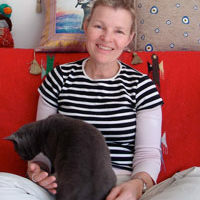 Jean Nesta-Berry is an Animal Reiki Practitioner/Teacher who lives in Cottage Grove, OR (just south of Eugene). 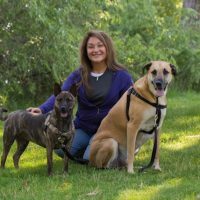 She offers in person and distance Reiki sessions to animals, as well as teaches a variety of Animal Reiki classes. 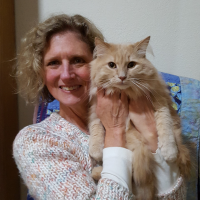 She initially took a beginning Reiki class, for the self-healing aspect, and immediately knew she wanted to learn how to offer Reiki to animals. She learned about Kathleen Prasad in that class, contacted her, and began training with her. 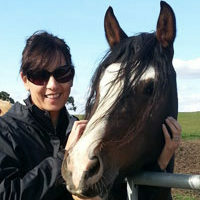 She’d finally found a way to pursue her heart’s desire, working with animals. 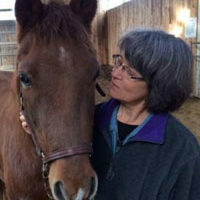 She volunteers offering Reiki at Duchess Sanctuary in Oakland, OR, which is home to almost 200 horses and donkeys.